Once you've decided to apply, you'll be at the beginning of the joining process. Watch our quick guide to the next steps that you'll take in your journey to starting your Army career. DO YOU WANT TO JOIN AS A SOLDIER OR AN OFFICER? Hear from some new recruits, and their experiences of the application process and how they felt during their journey. 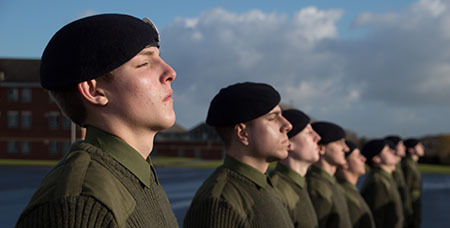 The recruits talk about the support they had during the journey, and help they received when needed - whether it was reassurance about things that they were worried about, or practical help in getting them ready to do their best at the Assessment Centre. If you're thinking about joining, but not sure what to expect, this video should answer some of your questions. You can also talk to your local recruitment team, who are on hand to offer any advice. 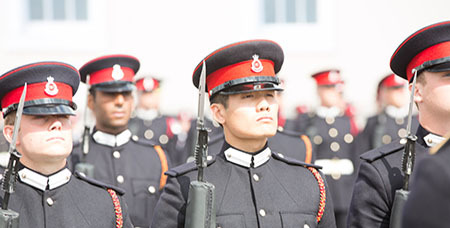 Whether you're joining as an officer or a soldier, you'll find all the help you need from your local Army Career Centre. Here you'll have a recruiter who will help you through your application. They'll get to know you, and when you're ready to move on to the next stage. The office occasionally holds sessions for candidates on different topics, that you might be invited to.